As in dictionary.com’s word of the year. 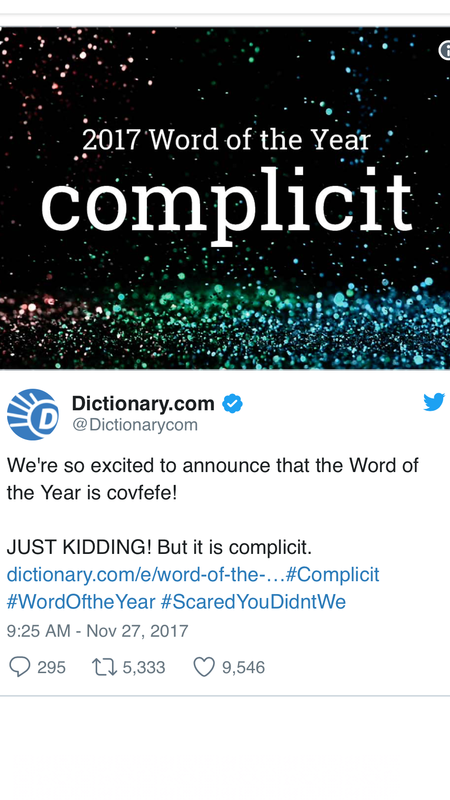 Despite the web-based dictionary’s attempt to lighten it up by spoofing that “covfeve” had been given the annual honor, the actual top word, complicit, hisses with disgust, epithet, curse. And yet it describes, well, pretty much everyone. Culture is the glue that binds us together and the barrier that keeps others out. Our treasured sense of who we are and paradoxically also the source of the insidious implicit biases that shape our stereotypes of who and what humans like or unlike ourselves can be. Rebecca Traister has once again outdone herself with her piece on complicity. Take the time to read it if you missed it. She gets to all the complicated, raw aspects of what is undoubtedly a sea change in our culture — or can be if we handle its consequences well. 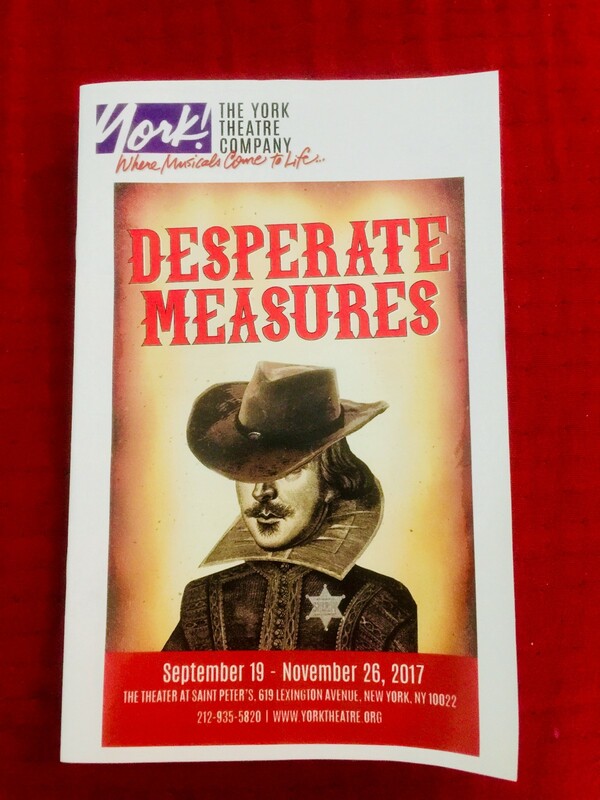 Last weekend I saw a much-touted off-Broadway play, “Desperate Measures,” at the behest of my friend and its producer Pat Addiss. A takeoff on Shakespeare’s “Measure for Measure” but set in pre-statehood Arizona (go figure but yes it works), the entire plot exists only because of culturally ingrained notions of women as either chaste nuns or wanton whores. The opening song’s punchline of “A woman brought me low” says all we need to know about attitudes in Shakespeare’s day, a few decades later, and still today in some people’s reactions to sexual assault and abuse allegations. Women are simply discredited out of hand. That’s the power of culture to shape how we think and render us complicit with wrongdoing. But the play also makes one notice how much the culture has changed. 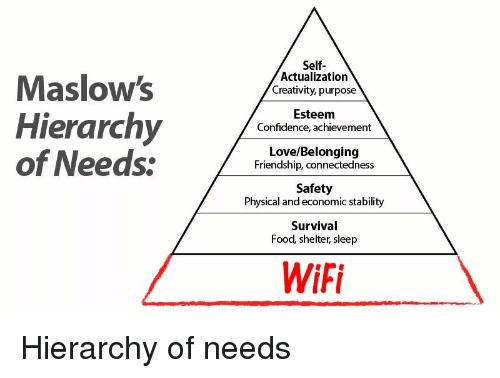 On Tuesday night, I returned to my computer after dinner to finish up on some work only to panic when I found I had no Wi-Fi. Being unconnected in this hyper-connected world is the opposite of being complicit and it’s a very scary place To my great relief, after an hour of badgering first an Apple care representative and then a clueless Verizon representative, I learned the area was experiencing an outage in Wi-Fi service and it would be restored by midnight. Wednesday I awakened as did most of America to the news that Matt Lauer is the latest high profile media star to fall. And we are left to wonder who knew what and when? Who among his colleagues was clueless and who was complicit? Do the good relationships he apparently had with some of his female colleagues give him any cover, any reason for clemency? And we all wonder, what will be the next shoe to drop? By nightfall, we had a few answers: a producer on one of CNN’s top shows, Garrison Keillor of “Prairie Home Companion” fame, playwright Israel Horovitz, mogul Russell Simmons. Here’s the more important question: how can we all become complicit for good? How can we actively join in positive acts that equalize gender power in our culture so that we can get past this issue and see real change — not just contrition on the part of those who have been chastened — but real change? What will be your step forward — how will you become complicit for good? 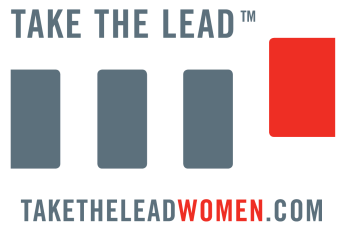 TAKE THE LEAD prepares, develops, inspires and propels women to take their fair and equal share of leadership positions across all sectors by 2025. It’s today’s women’s movement — a unique catalyst for women to embrace power and reach leadership parity. Join us online, sign up for our newsletter and have insightful news and advice delivered weekly, and check out our Virtual Happy Hour, our leadership programs and other offerings. PS. Are you ready to invest in yourself? Get the early bird special through December 15 for my four week, self-paced, self-study online course for early to mid-career women. I am so excited about launching this course to give you MAJOR career breakthroughs that I’ll join you in person for weekly private Facebook live chats to answer your burning questions. It starts on February 4, 2018: Power to Lead: 9 Leadership Power Tools to Advance Your Career. We’ve been working on making this a course that will lead to unparalleled breakthroughs. Through my strategic and proven 9 Leadership Power Tools, you will identify the chokeholds preventing you from upward mobility and discover the solutions to close those gaps. By transforming the traditional notion of power, you’ll create a more cohesive and more powerful self-leadership strategic plan that is not only holistic but ultimately, more effective than any course you have taken. I’ll be looking for you there! 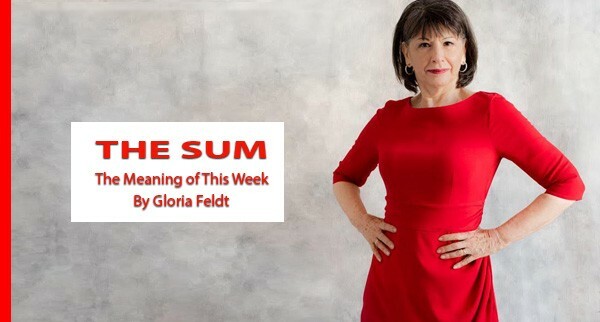 Gloria Feldt is a New York Times bestselling author and co-founder and president of Take The Lead, a nonprofit women’s leadership organization.